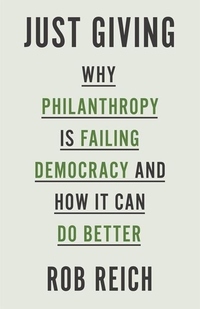 Is philanthropy, by its very nature, a threat to today's democracy? Though we may laud wealthy individuals who give away their money for society's benefit, Just Giving shows how such generosity not only isn't the unassailable good we think it to be but might also undermine democratic values and set back aspirations of justice. Big philanthropy is often an exercise of power, the conversion of private assets into public influence. And it is a form of power that is largely unaccountable, often perpetual, and lavishly tax-advantaged. The affluent--and their foundations--reap vast benefits even as they influence policy without accountability. And small philanthropy, or ordinary charitable giving, can be problematic as well. Charity, it turns out, does surprisingly little to provide for those in need and sometimes worsens inequality. These outcomes are shaped by the policies that define and structure philanthropy. When, how much, and to whom people give is influenced by laws governing everything from the creation of foundations and nonprofits to generous tax exemptions for donations of money and property. 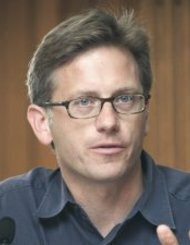 Rob Reich asks: What attitude and what policies should democracies have concerning individuals who give money away for public purposes? Philanthropy currently fails democracy in many ways, but Reich argues that it can be redeemed. Differentiating between individual philanthropy and private foundations, the aims of mass giving should be the decentralization of power in the production of public goods, such as the arts, education, and science. For foundations, the goal should be what Reich terms "discovery," or long-time-horizon innovations that enhance democratic experimentalism. Philanthropy, when properly structured, can play a crucial role in supporting a strong liberal democracy.